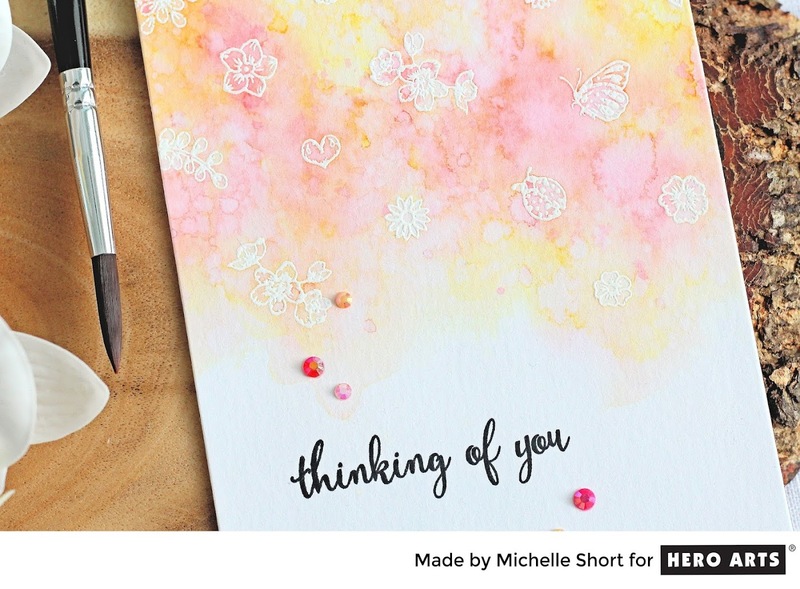 Hello there, today I am over on the Hero Arts Blog sharing a card I have made with the Summer Garden Stamp Set. This beautiful set was released as an add-on for the July MMH kit. It is such a pretty set filled with lots of little images and fabulous sentiments. I wanted to use a lot of the images on my card today, so I used them as a background and did some emboss resist with the Tonic Nuvo Aqua Flow Pens. TONIC NUVO AQUA FLOW PENS: Red Apple, Soft Rose, Spiced Ginger, Lemon Zest. 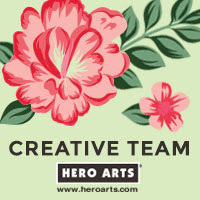 For details on how I made the card, please see the blog post over on the Hero Arts Blog. Thanks so much for visiting me today. I hope you have a great day! 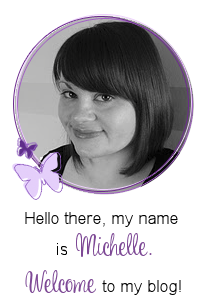 The background you created is just beautiful, Michelle. This is so pretty Michelle! I love the pretty pastel colours, its so soft and delicate with the little flowers. Gorgeous!